July is almost a week old and we haven’t had a quiz. But we are about to rectify that right now. 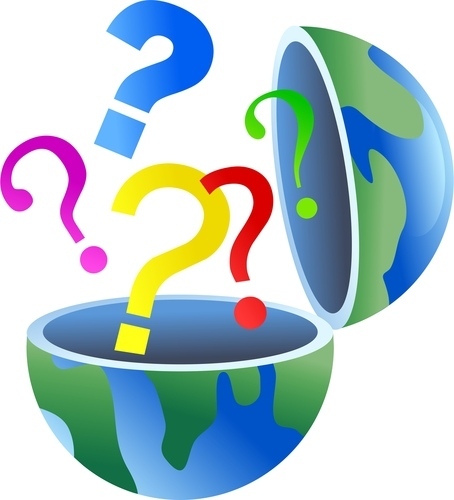 Another twenty questions to wrap your brain around. As usual, if you get stuck, you can find the answers waaaaaaaaaaaaaaaaaaaaaaaaaaaay down below, but please NO cheating! Q. 1. What is the world’s biggest island? Q. 2. In a speech on 5 March 1946 what did Winston Churchill say had descended over Europe? Q. 3. What city is known as ‘The Pearl of the Adriatic’ ? Q. 4. What is the official diameter of the center circle on a soccer pitch? Q. 5. What does the term ‘SAS’ refer to in terms of British Army Regiments? Q. 6. What famous American painter and illustrator’s best-known works include the ‘Willie Gillis’ series, ‘Rosie the Riveter’, ‘The Problem We All Live With’, ‘Saying Grace’, and the ‘Four Freedoms’ series? Q. 7. Where were the 2014 Winter Olympics held? Q. 8. Where will the 2016 Summer Olympics be held? Q. 9. Whose first novel was titled ‘Carrie’ ? Q. 10. What was the name given to the prosperous peasants in Russia who were violently repressed by Stalin? Q. 11. The famous ‘Stella Artois’ beer was originally brewed in which country? Q. 13. What is the common name of the small piece of data sent from a website and stored in a user’s web browser? Q. 14. In the well-known saying, what do ‘birds of a feather’ do? Q. 15. What fruit is a cross between a grapefruit, tangerine and orange? Q. 16. What is the name for the Eskimo people of Canada? Q. 17. We all know to our cost about the recent ‘financial crisis’, but in what year was the infamous ‘Wall Street Crash’ ? Q. 18. What are the two movies for which Jack Nicholson received the Best Actor Oscar? Q. 19. What is ‘blood sausage’ better known as in places like the United Kingdom, Ireland, New Zealand and the Canadian provinces of Nova Scotia and Newfoundland and Labrador? Q. 20. Who was ‘The Country Girl’ who after ‘High Noon’ went on to ‘Dial M for Murder’ and ‘To Catch a Thief’ before entering ‘High Society’ ? A. 2. An Iron Curtain. A. 4. 20 yards (18.3 metres). Q. 5. What does the term ‘SAS’ refer to in terms of British Army Regiments. A. 5. Special Air Service. A. 7. In Sochi, Russia. A. 8. The 2016 Summer Olympics, commonly known as Rio 2016, will be held in Rio de Janeiro, Brazil. A. 12. There were four sectors, American, British, French and Soviet. A. 13. It is called a ‘cookie’. Q. 14. In the well known saying, what do ‘birds of a feather’ do? A. 14. They ‘flock together’. A. 15. The ‘Ugli fruit’. A. 16. They are known as ‘Iniut’. A. 18. They were ‘One Flew Over The Cuckoo’s Nest’ and ‘As Good As It Gets’. A. 19. It is better known as ‘Black Pudding’.